BURBANK, CA, June 4, 2018 – Cameras rolled today on esteemed filmmaker Clint Eastwood’s next feature film, a drama entitled “The Mule,” from Warner Bros. Pictures and Imperative Entertainment. 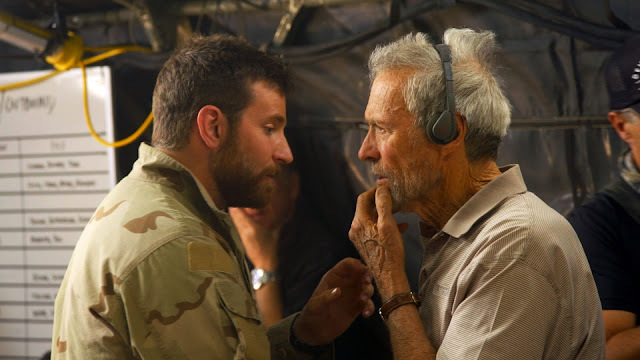 In addition to directing, the veteran actor will step in front of the lens again, alongside fellow stars Bradley Cooper, Laurence Fishburne, Michael Peña and Dianne Wiest, as well as Alison Eastwood, Taissa Farmiga and Ignacio Serricchio. Cooper, who stars as Bates, received his most recent Oscar nominations for his work with Eastwood, acting in and producing “American Sniper.” Oscar nominee Fishburne (“What’s Love Got to Do with It,” TV’s “Black-ish”) plays a DEA special agent in charge; Peña (upcoming “Ant-Man and the Wasp,” Netflix’s “Narcos”) plays a fellow agent; Oscar winner Wiest (“Bullets Over Broadway,” “Hannah and Her Sisters,” TV’s “Life in Pieces”) plays Earl’s ex-wife; Alison Eastwood (“Rails & Ties”) plays Earl’s daughter; Farmiga (upcoming “The Nun”) plays the role of Earl’s granddaughter; and Serricchio (Netflix’s “Lost in Space,” “The Wedding Ringer”) plays Earl’s cartel handler.